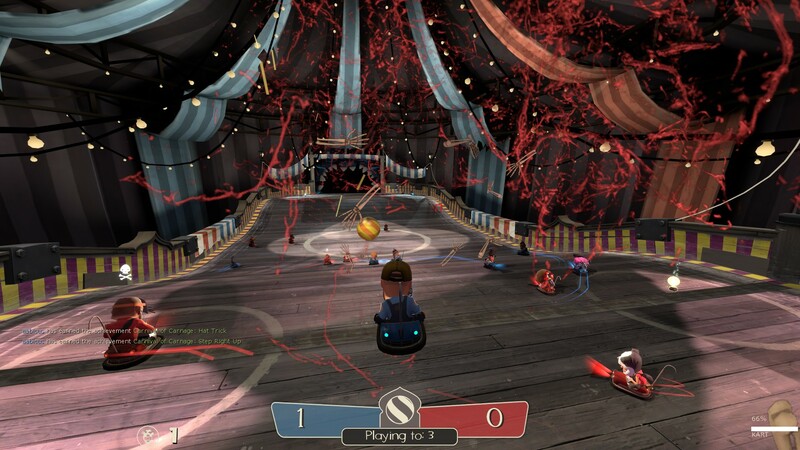 Team Fortress 2′s annual Halloween celebration is here, and it’s got the works! New comic, new map, dozens of new cosmetics, and a revamped present system to get some of them for free! Logging in during the event grants you a Halloween goodie cauldron with three of these new cosmetics, one of which will be Haunted-quality and strange! But even if you’re not interested in hats, the Carnival of Carnage promises all sorts of tricks and treats as you compete with your team to ride the grand attraction, the World’s Largest Strong-Arm, before the enemy can. So read the update teaser here and then go enjoy the carnival as this event will only be around until November 12th. There are never lines for these haunted rides! Next Next post: Bumper Cars and You!